When you’re trying to attract readers’ attention on your blog, you need to get visual–images are one of the most engaging types of content. We’ve talked about the importance of visual content before—it’s an essential part of creating shareable content, especially now that Pinterest is the fourth largest traffic source in the world. You need images in your content to not only engage and excite readers on your blog, but also make it easy for them to share your content to social networks. While there are many ways to integrate visuals into your blog posts, the most strategic way is through featured images. Why would I want a featured image? Featured images are essential to engaging readers on your blog and through social media. They help tell the story of your post without taking up precious real estate on your blog–you only need 100×100 pixels to grab your reader’s interest. On your blog, featured images can entice readers on your home page to open your blog posts. On social media, featured images can help drive more traffic to your blog. If the image is particularly funny or emotional, it could even make your post go viral. Featured images are also a way for you to brand your content across the web. KISSmetrics and Amy Lynn Andrews have great examples of branded featured images–they always include the title of the post with their logo. This type of featured image maintains a consistent brand for your blog across the web and can improve brand recognition and direct traffic to your blog. Recognizing the importance of featured images, tools like Shareaholic optimize your featured images for content sharing and discovery. Our social sharing buttons make it easy for you and your readers to share to social networks and they always include the featured image when sharing. Our related content tool, Recommendations, also pulls featured images for the thumbnails–a great way to get readers to discover more content on your blog. 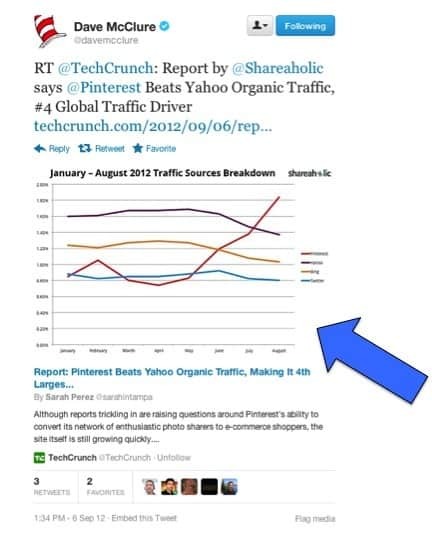 With tools like ours, you can use featured images to your advantage to get more pageviews and social shares. How do I get a featured image? First, you need to find a featured image that clearly conveys the message of your post. If you want to go the photo route, either take one of your own or use Creative Commons-licensed material. If you want a branded image, you don’t have to be a Photoshop Pro–you can use Powerpoint! When designing a featured image, make sure you include eye-popping colors and contain all of the action within the image frame. Once you have an image, you need to set it as the featured image within your post. 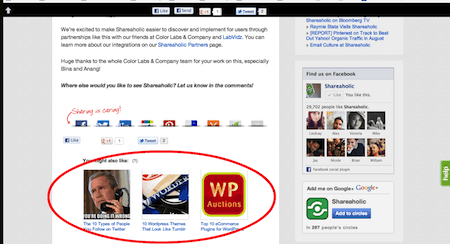 Some blogging platforms have ways to set a featured image automatically. On our own blog (a self-hosted WordPress) we manually inserted the code to support Featured Images into your functions.php file. After you’ve set up your featured image widget, it’s easy to include in all of your posts. Now go forth and get visual with your featured images! What are some creative ways to use featured images? Share your own tips below. 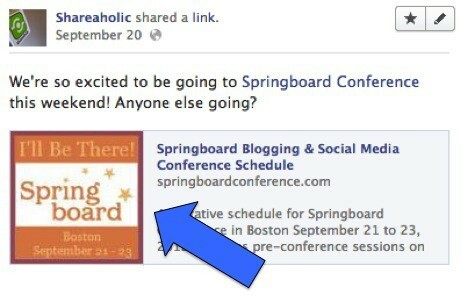 Use Shareaholic for your blog to boost social sharing and content discovery from your featured images.